We are a certified organic, four season vegetable farm located on the edge of Vermont's Northeast Kingdom in Craftsbury, VT. We grow about 200 varieties of vegetables on over 300 acres of land. Our selection of organic produce includes all your standards as well as interesting and unique specialty vegetables. 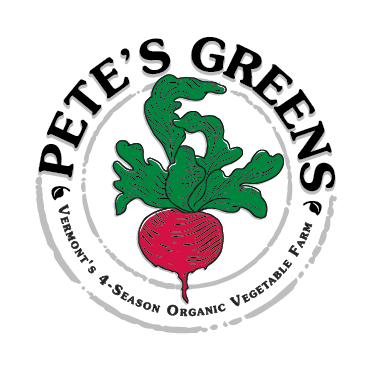 Pete's Greens is certified organic by the Northeast Organic Farming Association of Vermont.